As part of our Winter Gear Guide, we’ve already tackled great gift ideas aimed at the iPhone, iPod, and Mac laptops. In this final Gear Guide installment, we focus on desktop Macs. A Mac on your desk gives you a pretty powerful workstation-but also a pretty barren one. These products can help spruce up your workspace while also helping you get more creative, store more data, and finish more work. 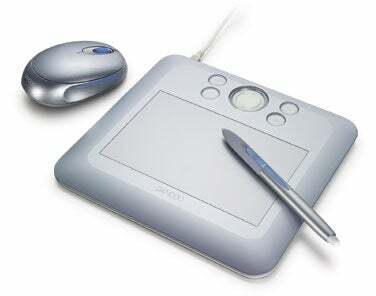 It’s a lot easier to select pixels, make edits, and draw with a tablet input device than with a mouse. The Bamboo Fun allows the budding digital artist or photo editor in your life to focus on the artistry at hand. The Bamboo Fun has four Express Keys that can be customized for user-defined shortcuts, and a Touch Ring for zooming the screen in or out. Pick from four colors: black, white, silver, and blue. Geeks worth their NaCl probably have a few hard-drive mechanisms sitting around, gathering dust. 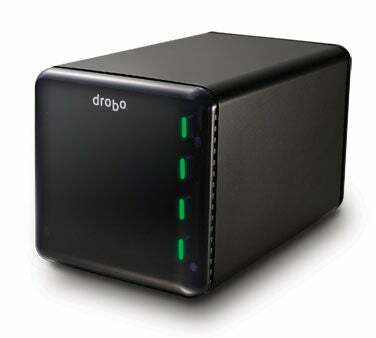 With the Drobo with FireWire 800, those drives can be put to good use. Just dust off those Serial ATA drives and insert up to four into the Drobo; the machine does the rest, combining the drives into one large storage space. If a drive fails, simply yank the bad one out and slip a in a replacement drive of any capacity. Apple’s built-in iSight sure is nice-if you have one. But if you use a Mac mini, a Mac Pro, or any older Mac, you need a Web cam to partake in video iChat sessions. Let the QuickCam Vision Pro be your eyes. 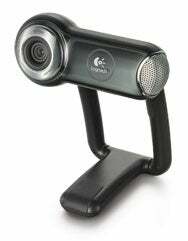 The iChat-compatible camera has a built-in microphone, is capable of high-definition 720p video, and uses Logitech’s RightLight2 technology to help in low-light situations. In fact, you might find that the QuickCam is a better performer than the iSight. The QuickCam can also be used with Photo Booth, Skype, Yahoo IM, and AIM. 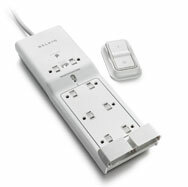 Surge protectors may lack the glamour associated with, say, Apple’s latest iPhone release. Then again, the Conserve Energy Saving 8-Outlet Surge Protector isn’t any old power strip. This one has a wireless remote switch that you can mount on the wall. Flip the switch, and it turns the Conserve off, thus turning off the devices connected to it-that means you’re not wasting any electricity, and that saves you money. Think of it as the gadget that keeps on giving. Here’s another way to be more environmentally conscious with your peripherals: SimpleTech’s re-drive is a 500GB external hard drive that’s eco-friendlier than your typical storage device. 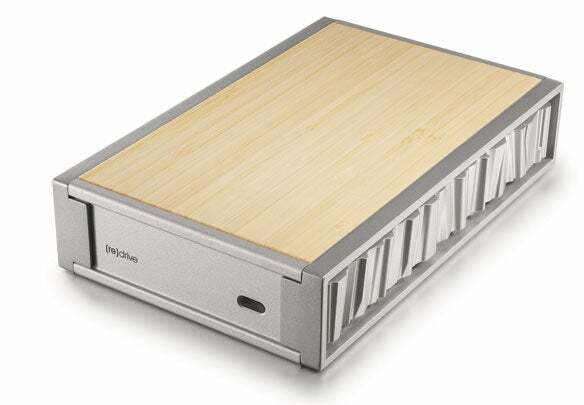 The sturdy enclosure is made of bamboo-that’s right, bamboo-and recyclable aluminum. Don’t pooh-pooh bamboo: it’s tough enough to be used as flooring, building material for houses, and more. The aluminum acts as a heat sink to keep the drive mechanism inside cool. And speaking of the mechanism, SimpleTech uses low-powered drive mechanisms to conserve energy. The box that the iMac comes in wasn’t meant for everyday use-it is cardboard, after all. 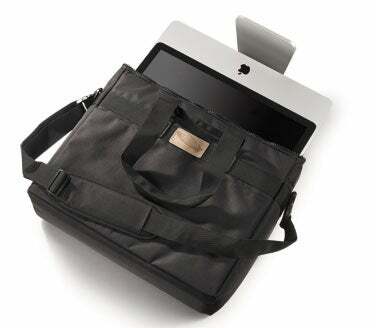 If you need to lug an iMac around on a regular basis, it pays to have a case like the iLugger iMac Carrying Case. Available for the 17-, 20-, and 24-inch Intel- or G5-based iMacs, the iLugger is made of heavy-duty nylon, sports a foam lining, and uses a plastic insert between the nylon and foam to protect your computer. The iLugger even has backpack straps, so you can sling the case across your back and hit the road without slowing down your stride. Think of multifunction devices, and you probably think of charts, graphs, spreadsheets, and text-in other words, business as usual. 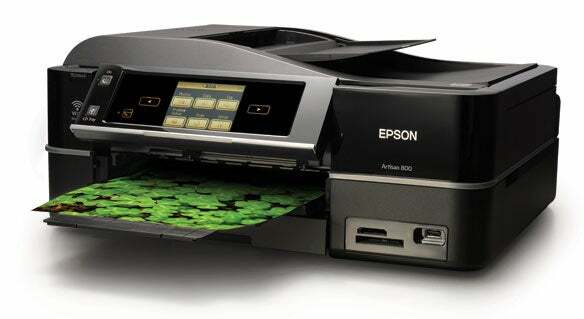 However, the Epson Artisan 800 takes the business of creativity seriously; its high-resolution scanner and six-color ink-jet printer can produce the quality prints that creative pros demand. The Artisan 800 also has a color copier and a fax machine with an automatic document feeder for when it’s time for business. The device has a bright touchscreen display for quick and easy access to print, scan, copy, and fax functions. 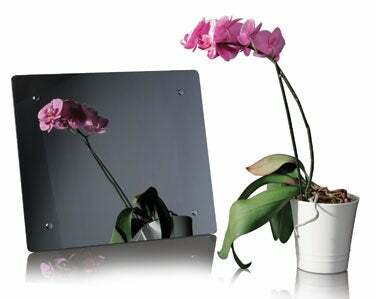 Behold the two faces of the Jobo Mirage L. This $359 15-inch digital photo frame turns into a mirror when it’s not displaying a picture. When it is displaying them, it does so at 1,024-by-768 resolution, and the display’s brightness is rated at 350 cd/m2, so you can easily see your pics from across a room. To display pictures, just insert a memory card full of JPEGs from your digital camera; the Mirage L plays them as a slide show. The Mirage L also has a calendar and clock, in case you want the frame to display something a little more practical.